Pure Electro Vol 1 by electro house maestro DJ Swen Weber offers all you need for the production of resounding Electro influenced House and Techno tracks. Tags: EDM, Electro House, House, Progressive House. 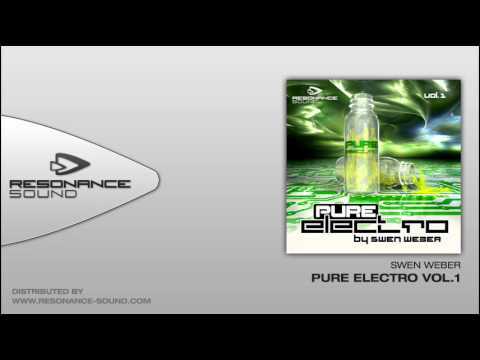 German Electro House maestro and DJ Swen Weber releases his second sample library Pure Electro Vol 1 via Resonance Sound. Following up on his striking debut “Bass Infarct”, the successor “Pure Electro” offers all you need for the production of resounding Electro influenced House and Techno tracks. The focus of this sample library is clearly on loops meeting all requirements and contains a noble collection of assertive bass, beat and drum loops as well as drum kits to give freedom to your creativity. In addition “Pure Electro” holds an equally impressive selection of versatile FX, synth and vocal loops. All loops are consistently produced on 128 bpm and are available in prevalent WAV format as well as Apple Loops and in Ableton and REX format. This makes “Pure Electro” highly fashionable not only for loop using producers, but also for modern DJs and live acts.